Video showed him with a group of people causing chaos as they took an elevator to the loading dock at the arena. Conor McGregor was involved in a backstage melee after a news conference for UFC223, and video footage appears to show the promotion's biggest star throwing a hand truck at a bus full of fighters , injuring at least one scheduled to compete Saturday. The New York Police Department said it wants to question McGregor. A police spokesman said McGregor threw a hand truck at a bus causing minor injury to an individual on the bus. UFC President Dana White said this week in New York that McGregor would fight again for UFC this year. McGregor's actions now put any future fights very much in doubt. 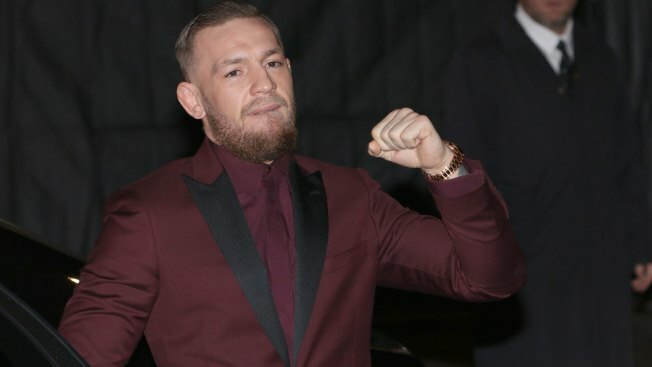 The 29-year-old McGregor once held the 145 and 155-pound championships at the same time and boldly stated he wanted an ownership stake in UFC. But the trash-talking, egocentric has been out of the fight game except for his boxing dalliance with Mayweather that made him wealthy enough to never have to fight again. McGregor and his girlfriend welcomed their first child, a son, in May 2017.